From the advent of Hindu religion for the last 5000 years, it is believed that the sacred rivers originate from the center of the universe which is Mount Kailash and Mansarover. Mt. Kailash also known as Sumeru Prabat is the home of Lord Shiva and indeed the Indus, Satlaj, Ganges via Karnali and the Brahmaputra River begins at this most holy spot. Not only is Mt. Kailash important for Hindus but Buddhists, Jains, BanPo, Sai Baba followers and all AMU followers also give high significance to this holyland. 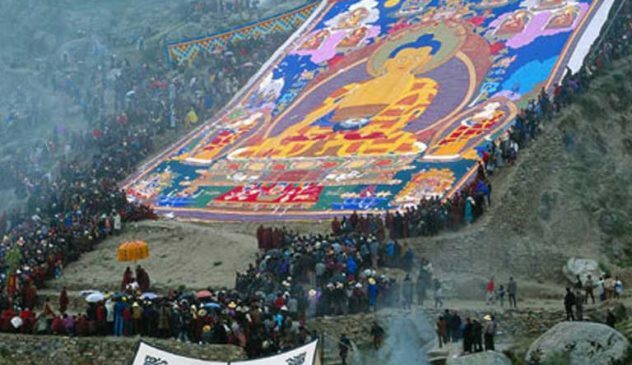 There are two ways to approach this pilgrimage one from Kumoun – Uttaranchal Himalaya and second most convenient route from Kathmandu to Kodari Border to West Tibet . Our programme is designed in such a manner to provide the most convenience to our pilgrims. 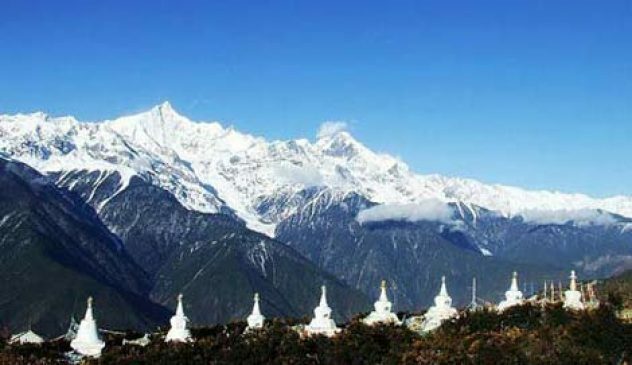 Having an extra day at Nyalam is to make you acclimatize on very first day and another extra day at Darchen, ( base of Mount kailash) to explore and pay homage to Sherlung Gompa, Ashtapad and Nandi Parvat. Visit temple of Pashupatinath biggest Hindu Temple . After paying homage to the lord Pashupathi will visit of Kathmandu city including Budhanolkantha, the where lies the temple of Bishnu Narayan famous for it’s large idol of Narayan laying on the bed of snakes in water. Will leave Kathmandu early in the morning, driving for 125 km (approx 4.30hrs) through the beautiful Nepalese countryside to Kodari on Nepal Side. After completing process of Nepalese and Chinese immigration and customs posts we drive up 8 km (approx ½ hrs) a series of incredibly steep switchbacks to Zhangmu on the Tibetan side of the border. A short drive of only 30km (approx 1.30 hrs) from the border to reach Nyalam, we can see Mt.Everest, top of the world and all the Eastern himalayan views from Nyalam, stay at Nyalam Guest House. Day 04: Stay one night more for acclimmitization in Nyalam: stay at Guest house. Drive approx 8 hrs (350 km) reach Saga and proceed to Dongba stay at guest House. 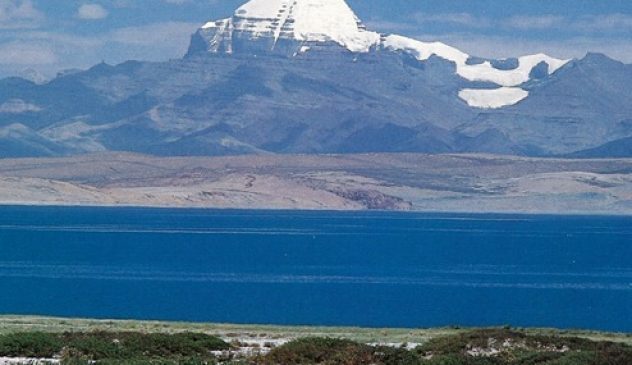 After Break fast drive to holy lake Manasarovar located just 30km south of Mt Kailash. stay at the lodge in Hore Mansarovar side. After taking holy bath and morming Puja,will take you to Parikrama of mansarovar lake by Land Cruiser and proceed to Darchen stay at Guest House. After breakfast drive around for an hour to Darchen, which is the base camp of Kailash Parvet. Full Day is free for acclimatization. Visit Serlung Gompo (5200mt) & Astapath, Nandi Parbat. Overnight stay in guesthouse at Darchen. Drive about 8 km to Tarboche, this is the starting point fr Kora and trek to Derphuk stay at camp.the 55km trek around Mt.Kailash. 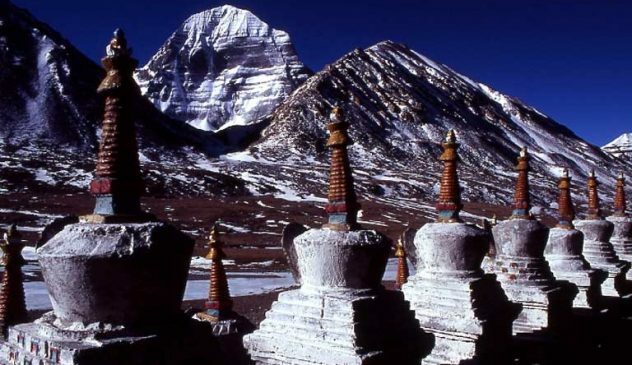 Those who do not want wish to trek around Kailash can go back to Mansorovar / Darchen and wait for the Kora group to return. will again proceed to Drolma Chu Valley , heading up towards a high pass, the Drolma La (5640m). It’s a tough climb to the summit which is festooned with prayer flags but from there it is all downhill or flat to Zutul-puk.stay at the camp. Day 12: Mansarovar to Dongba. Drive back up to Dongba, & O/N stay at Guest House. Drive to Tingri after the panoramic view of the Himalayan range as you cross the Lalung la pass (5050m). stay at lodge. 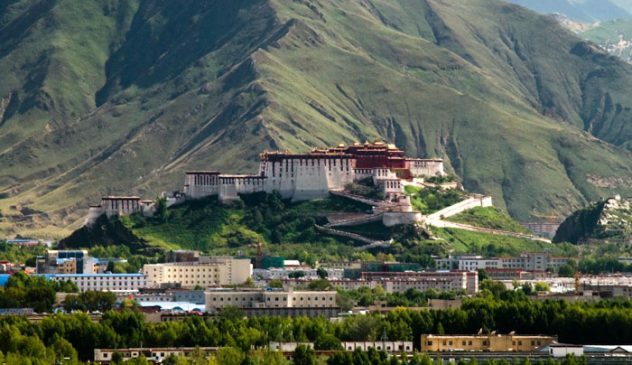 Drive toTsho La (4500m) and Will reach Rombuk monastery,stroll around the monastery. stay at hotel Rombuk. Drive back to small village town, the LAO Tingri after visiting Everest base-camp (5200m) drive to Nyalam- stay at Guest House.